Pabst Blue Ribbon is a premium lager crafted with a hefty infusion of six-row barley. PBR is cellared and finished to the smooth, robust likeness of a fine Pilsner. First brewed in 1844 in Milwaukee, Pabst Blue Ribbon has a long and proud history. This American beer takes its name from the silk ribbons tied to the bottle in 1882. 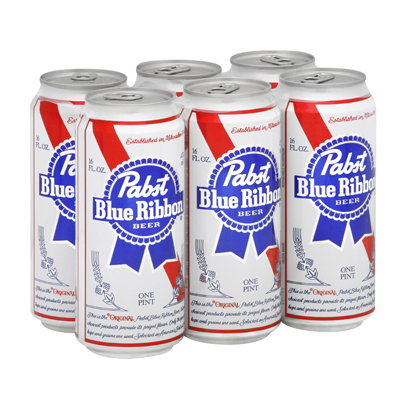 Visit the Pabst Blue Ribbon website.